Add a touch of delicacy to your style with these stud earrings, wrapped in a knot-like appearance in precious 9ct White Gold and set with cubic zirconia stones for a dazzling style statement. 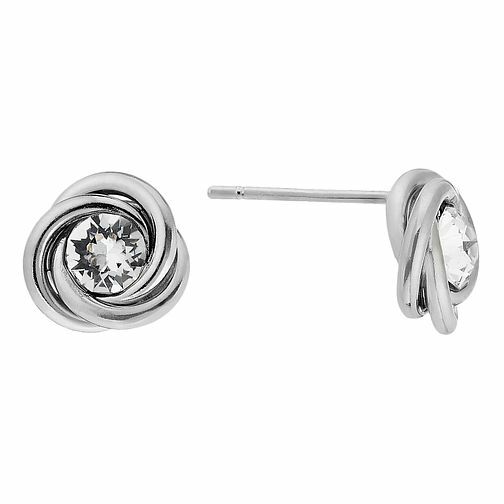 9ct white gold crystal knot stud earrings is rated 5.0 out of 5 by 1. Rated 5 out of 5 by Anonymous from Big winner! Partner loved it, great subtle look. Classy and affordable!